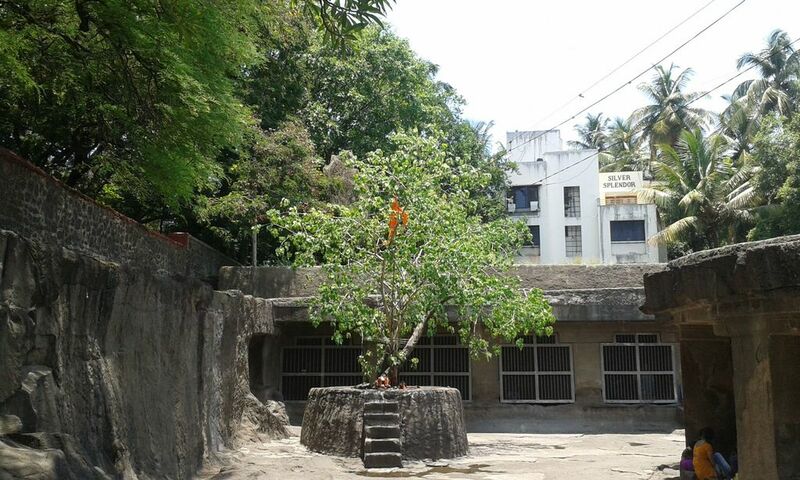 Hidden from view, off the busy Jangli Maharaj Road in Pune, lies an ancient cave temple dedicated to Lord Shiva – the Pataleshwar (Lord of the Netherworld) temple. If you miss the entrance (highly likely! ), proceed through the well-marked entrance of the Jangli Maharaj temple. Visit this shrine dedicated to the saint Jangli Maharaj, and then, follow the signboard to the adjacent cave temple of Pataleshwar. 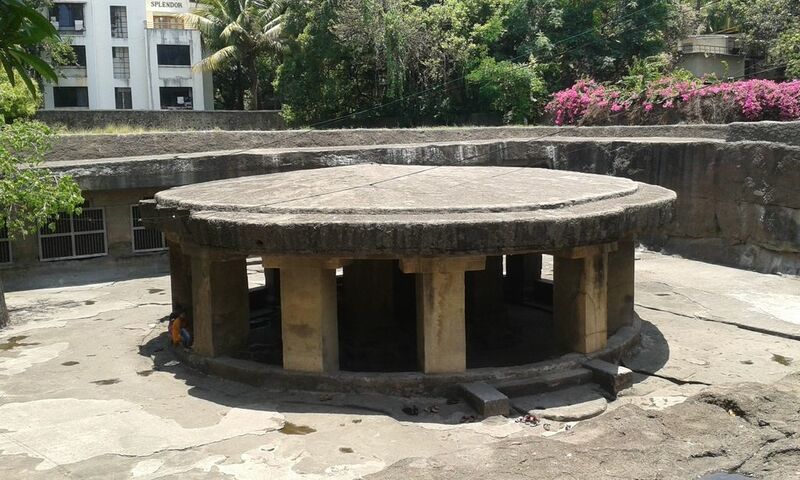 Nandi Mandapa. Pataleshwar Temple, Pune. A large Nandi mandapa with many pillars stands in the courtyard. 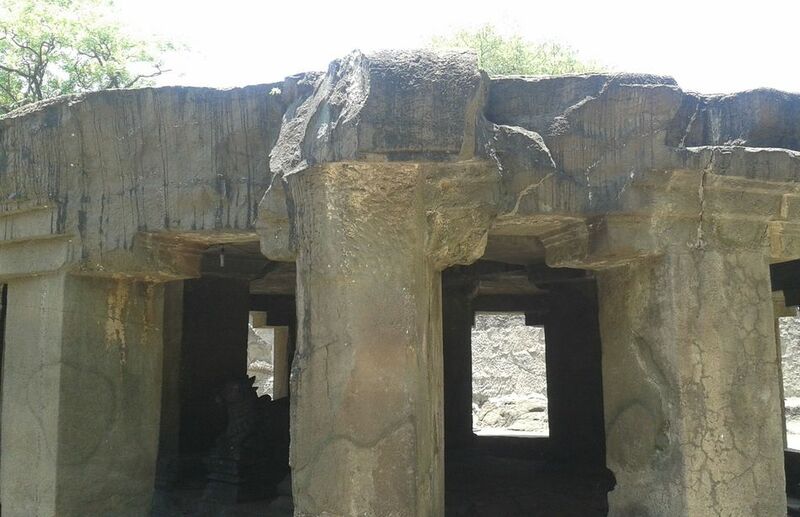 The main sanctum, part of a basalt rock cave, houses the main deity in the form of a Shivling. Other idols in the temple include those of Rama, Sita, and Lakshmana. Looking on. 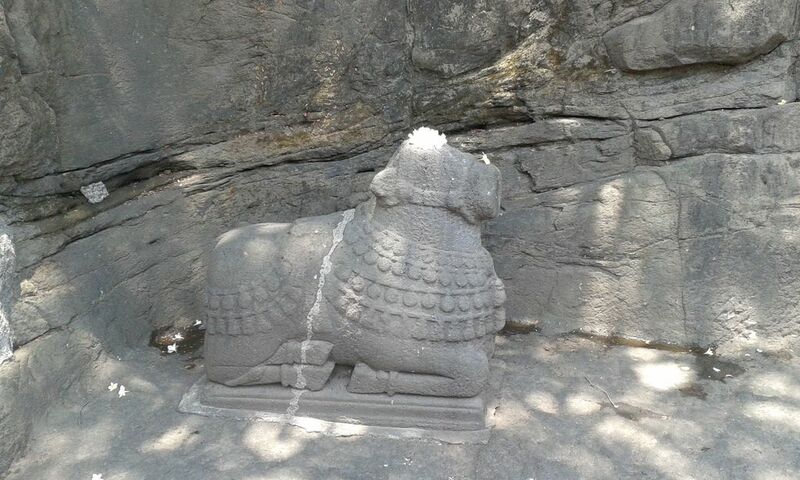 Nandi statue, Pataleshwar temple, Pune. Another smaller statue of Nandi looks on from a quiet corner near the mandapa as devotees pay obeisance to the deities and relax in the peaceful setting. The Pataleshwar temple is said to date back to 8 AD, and is believed to have been built during the Rashtrakuta period. Fading rock sculptures in the premises captured our attention, and we attempted to guess what the seemingly incomplete figures represented. The protected monument is considered to be incomplete. According to one theory, a fault line running behind the complex was the reason for the interruption in the project. If you happen to be in the Shivajinagar or Deccan area in Pune, pay a visit to the Pataleshwar temple, a tranquil oasis in a bustling neighborhood.